The Company is pleased to announce that as at 30 June 2017, the main concrete structures of the major animal exhibition venues, animal performance venues, auxiliary theme hotels, theme restaurants and parking lots of the Shanghai Project have been topped out. 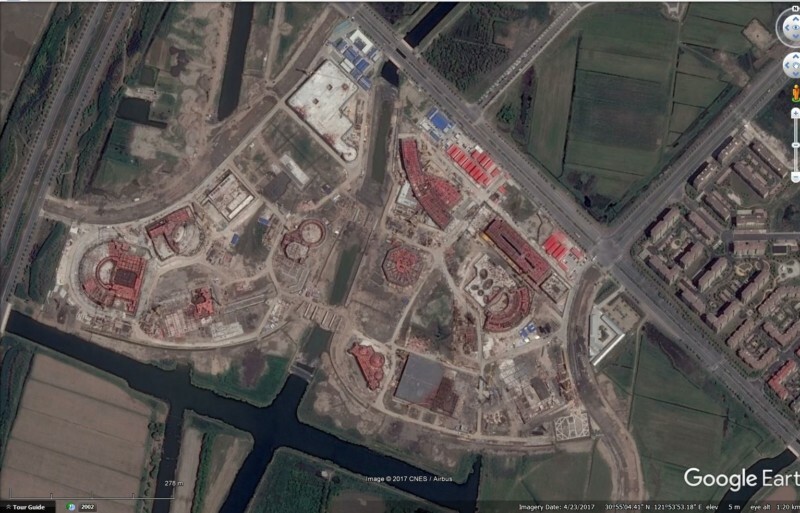 The construction of all the main structures of the premises of the Shanghai Project has been completed. Since early 2017, the preparation of operation of the Shanghai Project has been carried out in an orderly manner and has achieved project milestones. The core operation team of the Shanghai Project is now in place and it plans to start reserving and domesticating marine animals required for the opening of the project. The Company’s marketing team has also made multi-dimensional branding efforts for the opening of the Shanghai Project. According to the 《臨港地區中長期發展計劃》(“Medium and Long-Term Development Plan of the Lingang Area*”) issued by the Shanghai Municipal People’s Government, the Lingang Area, in which the Shanghai Project is located, will serve as a demonstration base of the new marine tourism industry of China. In addition, the auxiliary facilities, highways and rail transportation system around the Shanghai Project continue to improve. Shanghai’s second largest passenger railway station, Shanghai East Railway Station, will also be built in the Pudong New District in Shanghai. Various tourism projects will also be developed in the Lingang area. The Company believes that the Lingang area will become a new tourist spot in Shanghai. The Board believes that to date, the preparation of operation of the Shanghai Project is basically on schedule and the topping-out of the main concrete structures indicates significant progress of the Shanghai Project. The Company will continue to push forward the construction and preparation of operation of the Shanghai Project to ensure that the Shanghai Haichang Polar Ocean World under the Shanghai Project will be opened in 2018 as scheduled. Going forward, as the consumption power of China increases, the Company believes that high-quality tourism projects will be favoured by the market. The Company expects to create the Shanghai Haichang Polar Ocean World as a world-class marine park with its in-depth experience and expertise in the tourism market. The Company believes that the Shanghai Project will be operated with success in the future.